BRYAN EATON/Staff photo. 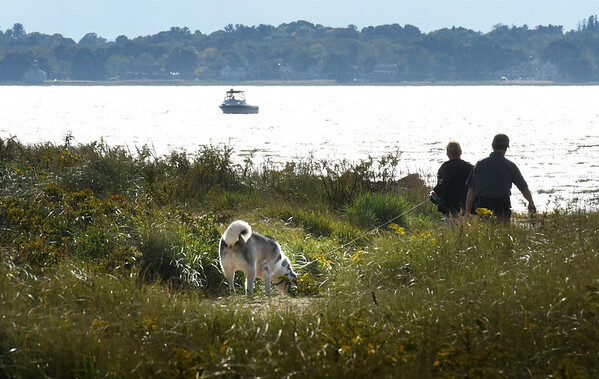 Dog walkers and boaters took advantage of Tuesday's weather to spend time at Salisbury Beach State Reservation. The weather stays warm and humid today with chance of rain for tomorrow.